We are highly reckoned as a prominent WIRO Binding Machine Supplier in the market, as we offer the best of quality. Our WIRO Binding Machine is widely appreciated in the market for its high binding thickness, optimum punching capacity, innovative design and accurate hole distance. We offer the best quality Large Binding Machine to cater the comprehensive needs of many home, offices and commercial sectors. Further, the Large Binding Machine we design are based on core as well as modern technology. 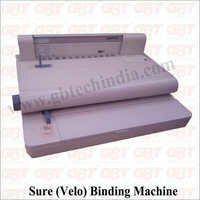 Our offered Binding Machine WIRO is assured with eminent industrial norms and quality parameters that aid us in winning full customer satisfaction. Moreover, we meet to all clients' expectations, as our WIRO Binding Machine are very user-friendly, innovative and high performance.